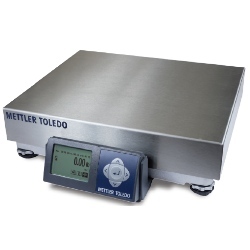 Mettler Toledo BC60 Balltop Shipping ScaleMettler Toledo BC-60 shipping scales with Balltop Platter are ideal for many weighing applications where only gross weight readings are required and where economy or system integration is important. 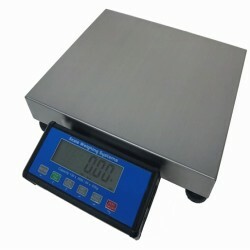 Whether at the receiving or shipping dock, reading lb or kg, you get accurate weighments. UPS Worldship Software Compatible. USB and RS232 ports are standard. NTEP Approved. Capacity 150 x 0.05 lbs. 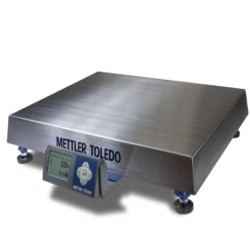 Mettler Toledo BC-60 Roller Top Shipping ScaleMettler Toledo BC60 shipping scales (BRAND NEW) with RollerTop Platter are ideal for many weighing applications where only gross weight readings are required and where economy or system integration is important. 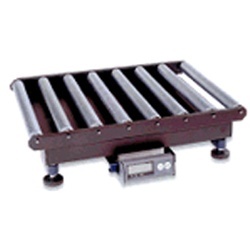 Great for receiving or shipping dock, you get accurate weighments at an economical price. UPS Worldship Software Compatible Scale. USB and RS232 ports. NTEP Approved. Capacity 150 x 0.05 lbs. 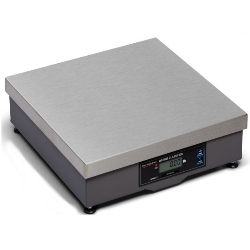 NCI 7880 Parcel Shipping Scale Flattop 100 lb.NCI 7880 is a great choice for large parcels with its fast digital response and large 18 x 18 flat top platter. It easily accommodates oversize parcels or boxes in the shipping room. With the DuraBridge™ technology the NCI 7880 item# 9503-16934 withstands the rigors of day-to-day use. NTEP and Canadian Weights and Measures approvals, to ensure accuracy. Capacity is 100 lbs. Kilotech Industrial 100 lb. Topload Dial ScaleRugged, heavy duty construction mechanical KAM 1004PL dial scale. Ideal for low to medium volume in shipping and receiving areas or in warehouse and production applications. Great low cost addition to shipping dept. Capacity is 100 pounds and platform sizes are 13x13". Ships from Canada (must allow extra 1 to 2 business days before shipment) Freight cost is included in price for cont'l US customers. 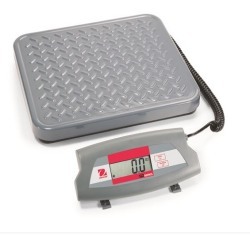 1800scales SS-60 Shipping ScaleSS-60 Shipping Scale is the perfect solution for all of your shipping and weighing needs. 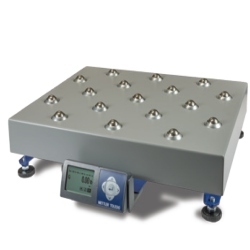 The SS-60 is Legal for Trade (NTEP Approved) and has an Industrial Heavy Duty Cast Aluminum Base with a Stainless Steel Platter and connected to the Large Blue Back-Lit LCD Display that is made of a Heavy Duty Aluminum Alloy. 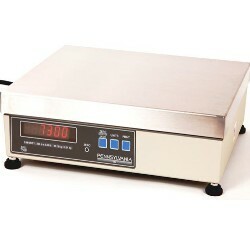 The scale can operate on both AC/Battery Power. Compatible with software from UPS, Fedex, and others as well as POS. Serial and USB Ports are standard and the cables for each are included. Ground shipping included for continental US.